Woo hoo thank you Decanter! 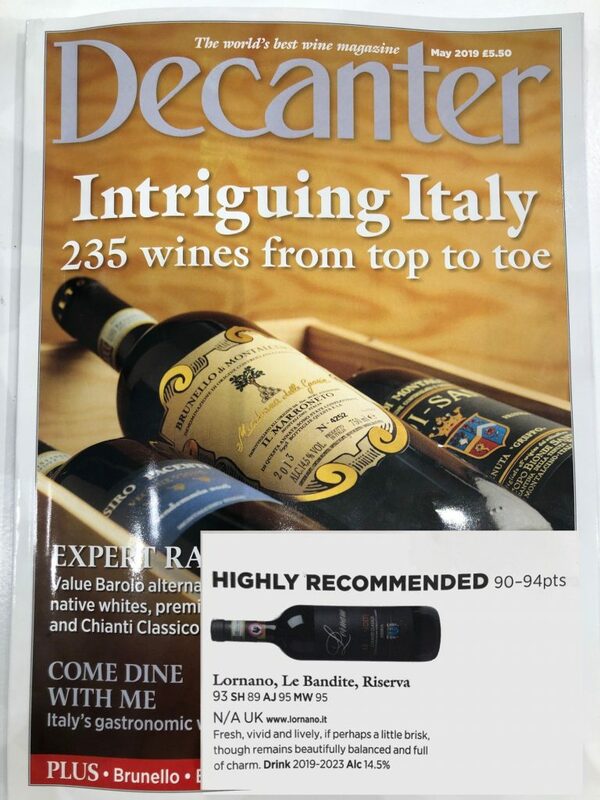 Our Lornano Chianti Classico Riserva single vineyard “Le Bandite” 2013 (100% Sangiovese) got 90+ Highly Recommended on the latest May Issue. Celebrate with us oder online at https://www.lornano.it/lornano-shop/ and use coupon / discount code “lornanofan” (min. order 6 bottles even mixed).